It really took me some time to write this article. Let’s face it: Cognac Martell is a pretty big deal. So before I actually explain why Martell is so impressive, you may want to look at the entire history of Cognac-making first so we can put things into perspective. If you would like to look at Martell’s Cognacs, check out our Martell brand page where you can also purchase their products. Now, it is important to know that Martell didn’t pay me anything for this article – our website’s integrity is important and the way we earn money is via our cognac online store. When you read the title of my article you may think, hm…that’s not objective. Well, I personally think that Martell hits the nail on the head when it comes to both product and brand. I also think the house’s products are much more appealing in both design and taste and the brand’s identity more authentic than the Cognac world’s number 1, Hennessy. More about this later. You’ll see the images I took over the year all throughout the article. I hope my experience translates well. This Cognac producer has been around for three centuries! Now, why is this is important? Because for making exceptional Cognac you need time – actually you need many generations for creating very old Cognac. As you know, the eaux-de-vie needs to sit in an oak barrel for ages before being blended into a Cognac. 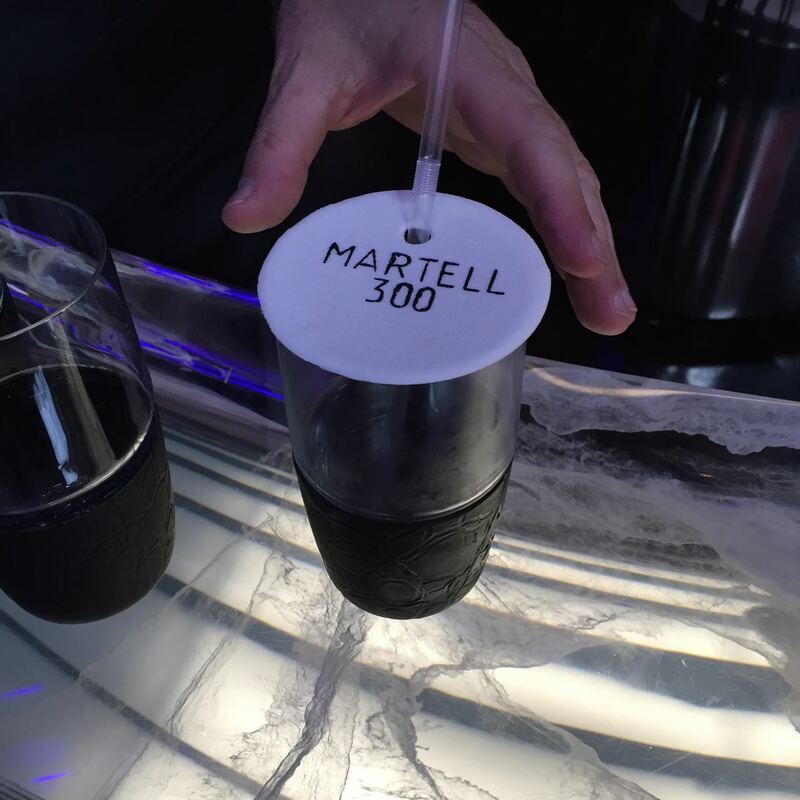 Since we began this blog 6 years ago, we’ve always had a good relationship with Martell. Here is what’s special about this Cognac house. – They are the world leader in XO Cognac (Extra Old). Yes, they beat Hennessy, the number 1 in terms of all over Cognac revenue. Still, Martell comes second in the worldwide cognac business. 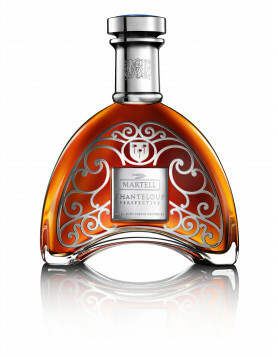 – Martell’s brand positioning: Distinct, minimalist, design-driven and contemporary – but still very French. Also, Martell tries to emphasize close ties to gastronomy; that’s a reason why Martell supports the Chateau de Versailles. Why is it so important to have a tight positioning in the Cognac world? Because, to be honest, alcohol is alcohol – and good alcohol is good alcohol. As a Cognac brand you need to be different. – They rarely get a Hiphop-Artist to represent them. Everybody does that nowadays. Instead, Martell organizes an elegant Hollywood actress or a Jazz singer to be brand ambassadors. – Martell owns a weird Chateau in the Cognac region – there is something terribly wrong with this building because it doesn’t fit in at all because it has Normandie architecture. Actually, I really like it. I also like that they have a Karaoke room where I have been allowed to present my singing skills with “New York New York”. – They come up with some really cool stuff. I personally love the absolutely optional and excessive Trunk they built. – Martell is into promoting Cognac on the long term, for example with their Martell Academy or exhibitions they organize that educate people about the history of the product. While Martell’s main competitor Hennessy comes across like an old fashioned French gentleman with less interest in fun, Martell is more like an understated modern citizen of the world in his (or her!) 30s or 40s – someone who’s always up for partying in style. I’ve probably had the hardest parties with Martell people (and their consultants) over the past years. And I do like parties. All this is clearly about branding – there’s some serious marketing here, but let’s face it, it’s important. More importantly though: How is their product? Martell’s Cognac is obviously extremely good. Everyone who will say that Martell’s Cognac isn’t good doesn’t know what they’re talking about. They’re either a frustrated individuality-hipster or jealous about the company’s achievement. 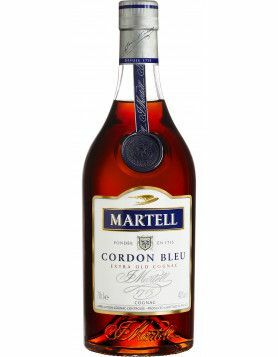 My favorite is Martell Cordon Bleu because of the absolute classic design of the bottle and the taste of the blend. Order Cordon Bleu here. I think Cordon Bleu has a great, peppery masculine taste, balanced but not overly sweet. Their regular XO is good but slightly rounder, which I like but I still prefer the Cordon Bleu. I also really like the L’Or de Jean Martell which is the oldest Cognac of the House – I tasted it at a dinner in Versailles years ago for the first time. I love the blend though I am not sure about the Star-Trek-Klingone-Ish bottle design. 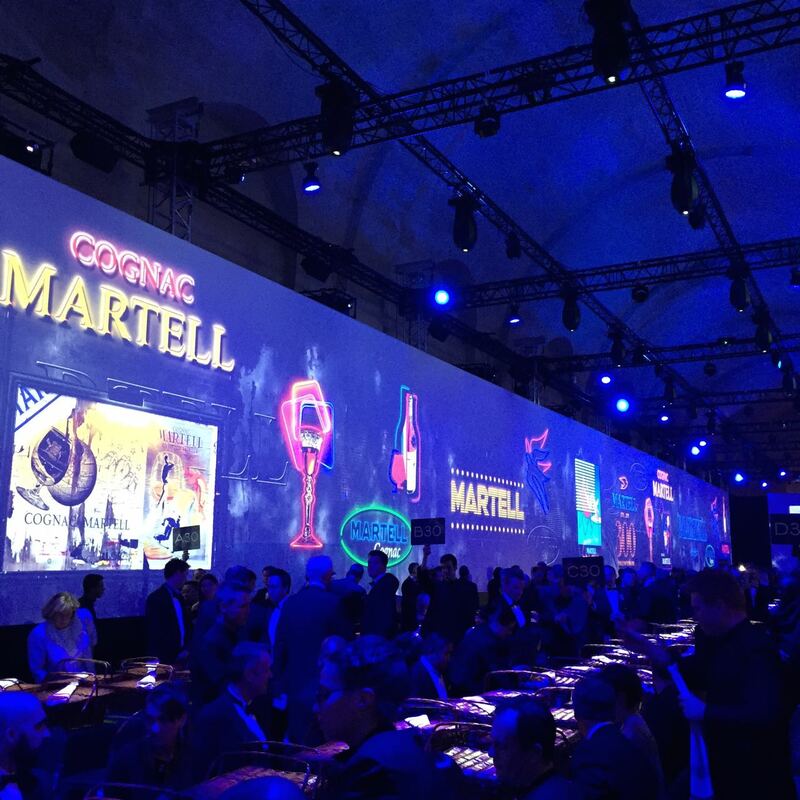 So the House of Martell (no, not the one from Game of Thrones) certainly takes center stage this year. When Jean Martell, the founder or the Cognac house, died in 1753, Gatebourse, the first site of Martell production had already become the heart of an aspiring business and a prosperous future. Jean’s two sons Jean and Frédéric would continue what their father had begun. In the later half of the century, they would be exporting 200.000 liters of Cognac to Britain. In the following century, around 1842, Martell started targeting the Chinese market and opened up export activities to the Far East from then on. Imagine, we’re trade relations with China all the way back to the 19th century! 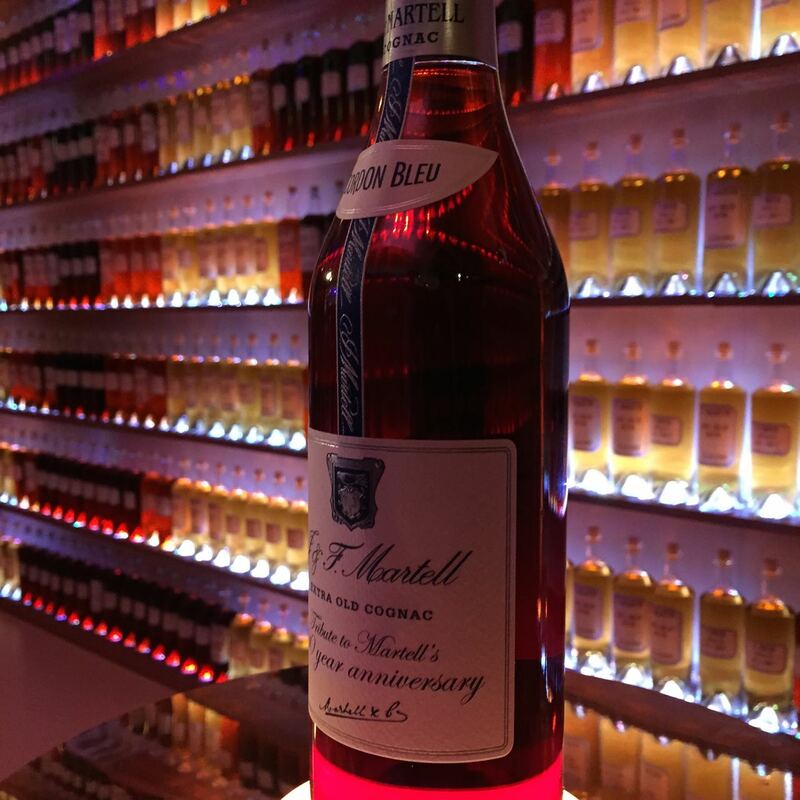 The introduction of Martell Cordon Bleu in 1912 had a huge impact on the company’s success. It has since become one of the most loved Cognacs worldwide (it’s also Sophie’s favorite Cognac from the large brands). Martell still owns the family estate, the Chateau de Chanteloup, which is situated in Cherves Richemont in the heart of the Borderies. The origins of the Chateau date back to the 16th century. In the 1930s, out of a rather strange wish to please his wife from Normandy, Maurice Firino-Martell adapted the architecture of the Chateau to what it is today: with a typical Normandy-style façade. Could almost be a mansion in Beverly Hills. 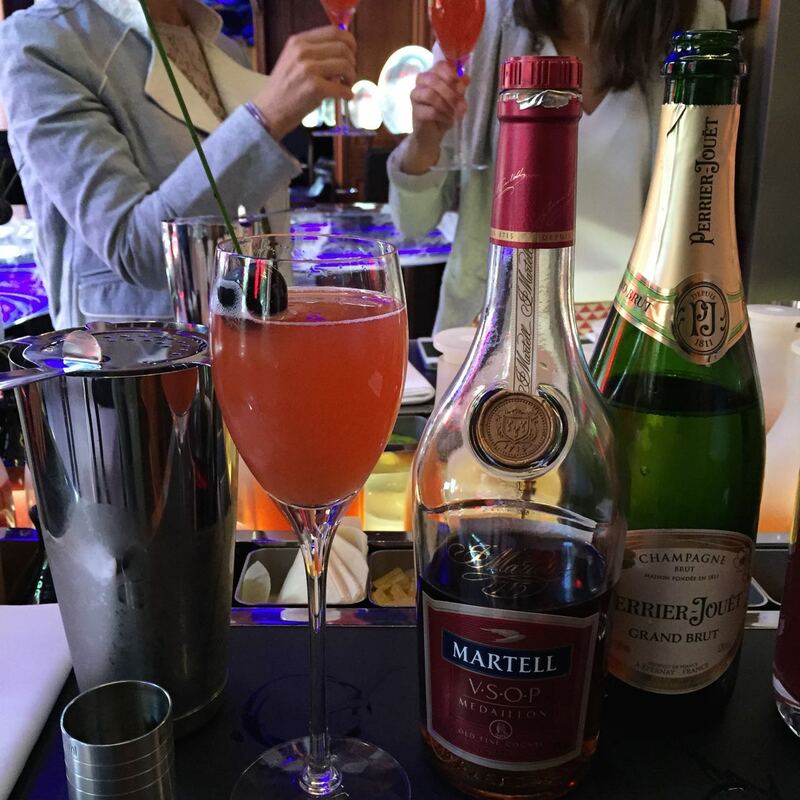 Today, Martell & Co is part of the drinks giant Pernod Ricard, which seems like a perfect marriage. 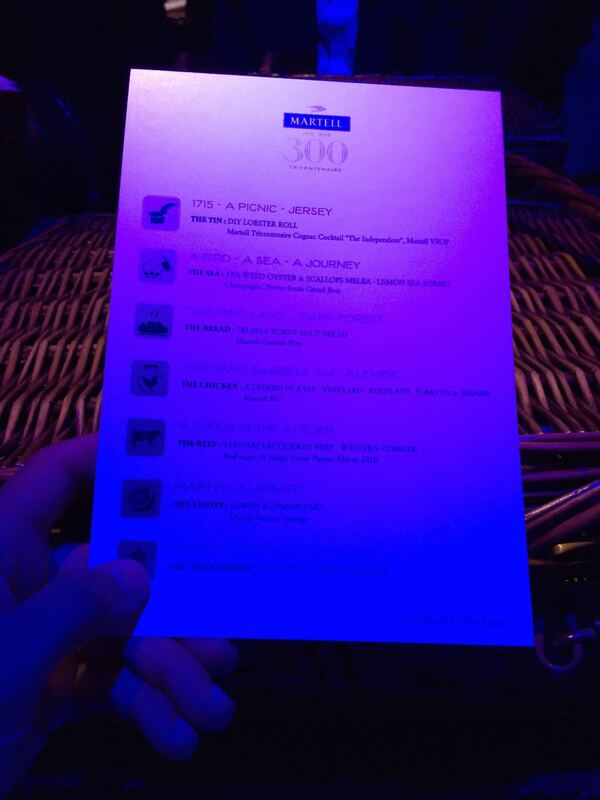 Pernod Ricard is such a profoundly French company. Cellar master Benoit Fil continues to create outstanding blends. And so the story continues. 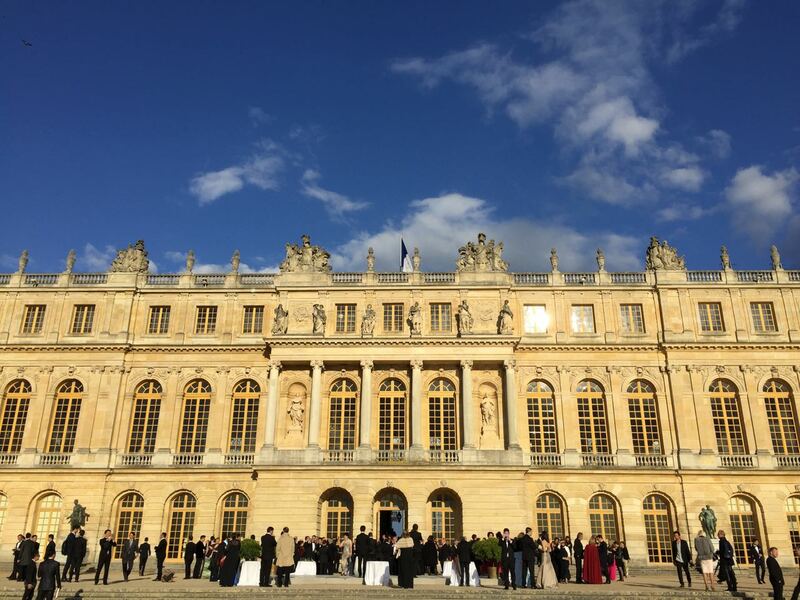 Earlier on in the year, I received a beautifully presented invitation, asking me to join Martell’s 300 year anniversary gala at the Chateau de Versailles in Paris. What a location. Anyone who has visited this majestic place will know, there’s nowhere more grand or classy. It was a black tie event, so time to dust off my tuxedo. 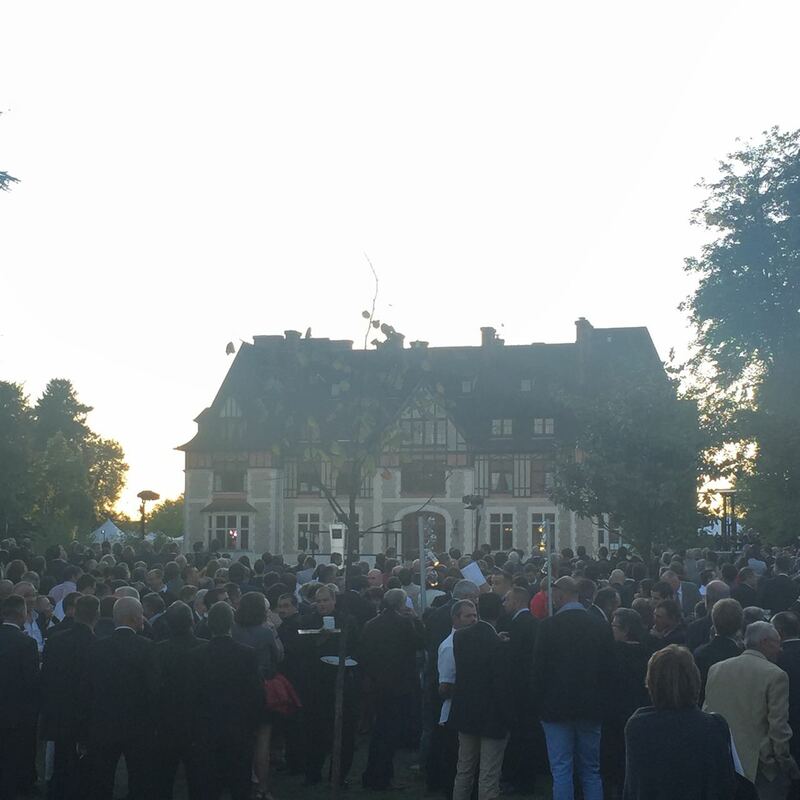 The 600 guests assembled in Versailles were clearly anticipating a very special evening. There was a certain excitement in the air. For a reason! To launch the festivities, and while guests were sipping on their cocktails during an aperitif in the Chateau’s courtyard, there was suddenly the sound of airplanes to be heard. And there they were…5 old-fashioned French airplanes flying straight over our heads, making amazing twirls and circling over Versailles, writing the French colors into the sky by trailing white, red, and blue lines of steam behind them. All this was accompanied by beautiful classical music. I’m not one to get impressed easily, but this was really sensational. The evening unfolded in numerous chapters, one seemingly more luscious and luxurious than the next. But before we headed in for dinner, I had the opportunity to meet Martell’s brand ambassador Diane Kruger in person – and got to interview her all on my own. Pretty exciting I must say. I got to speak to her about our shared love for France, the French art-de-vivre, the elegance of Martell Cognac, and art in general. I also bumped into some old social media friends, and also had the pleasure to be introduced to Fubiz. Now, the most impressive thing about this evening were not the jets. 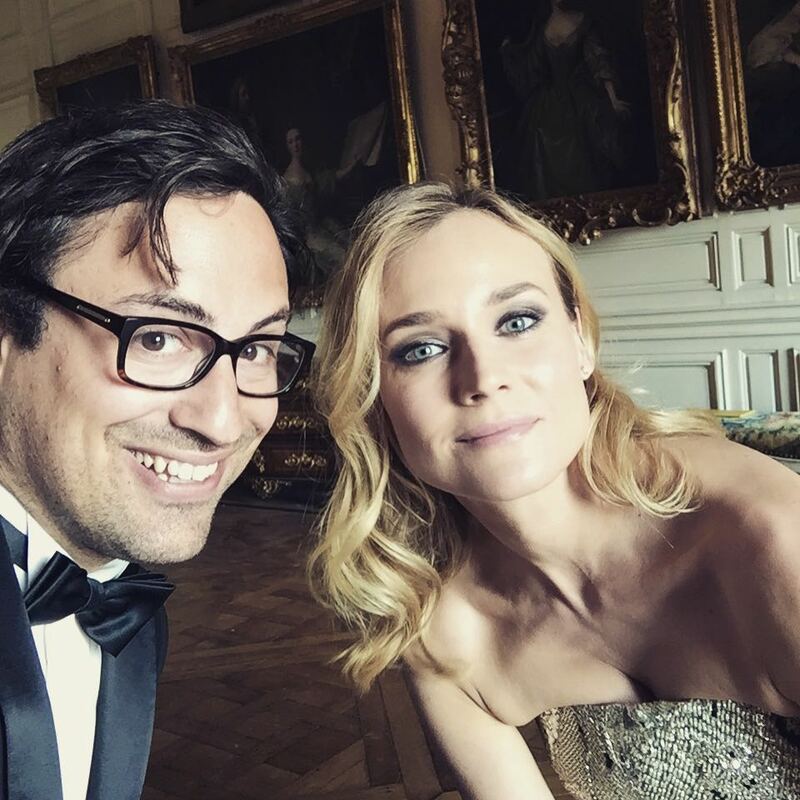 Not the fact that I got an interview with Diane Kruger – but the absolutely spectacular entertainment dinner – I just loved it. It was perhaps the best food I’ve ever had. If you like video installation and extreme food paired with Cognac (which is the case for me) you’d be more or less in heaven as well. Wow…what can I say. 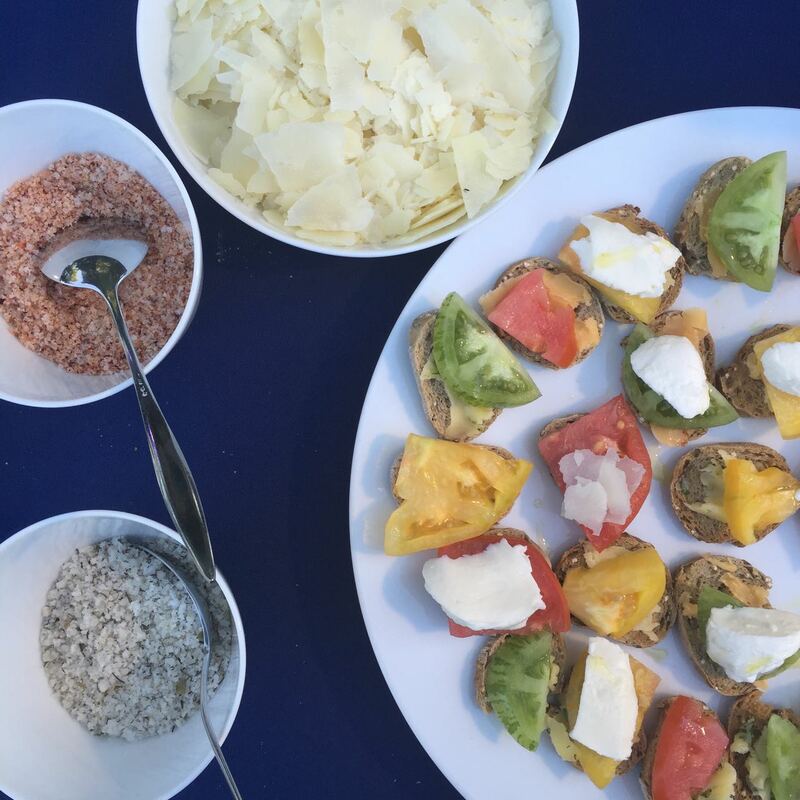 This food pairing together with the Cognac, Champagne and wine was just so incredibly delicious. 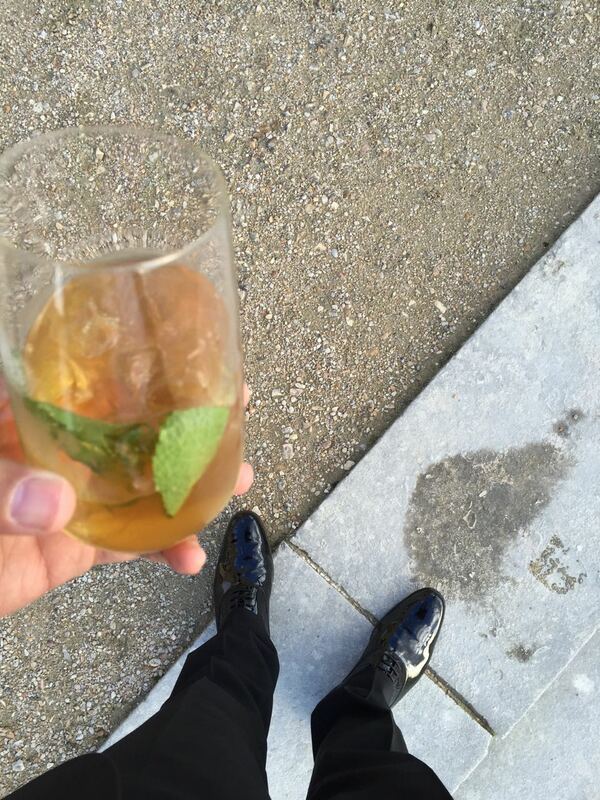 The next day I participated in a Cognac cocktail session. Cocktails with cognac and you haven’t heard of this? Take a look at our cocktail section. 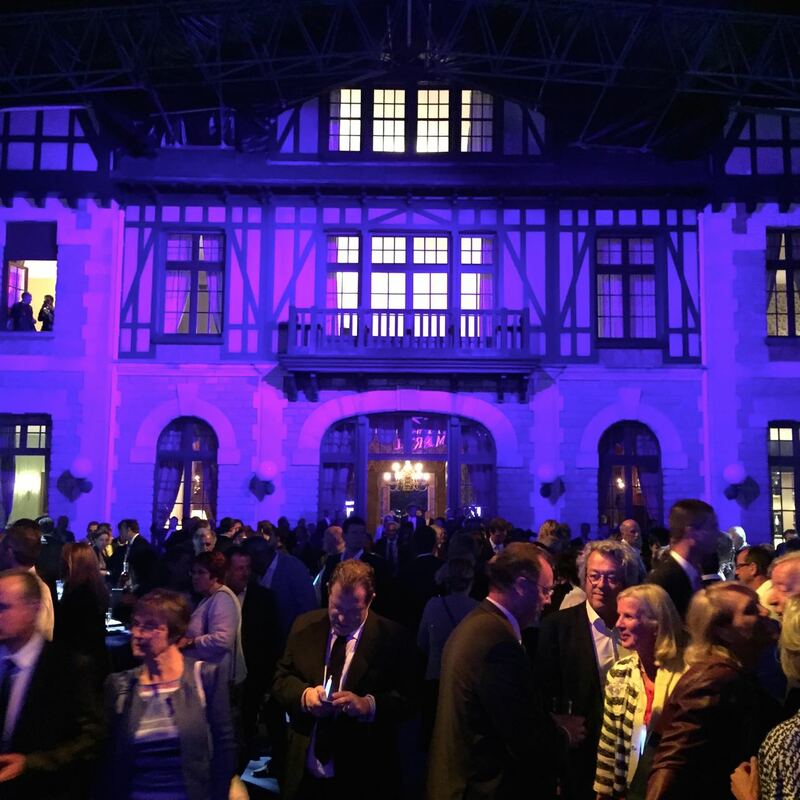 The second large event in 2015 was the gathering of all wine growers who produce for Martell. The event took place around, in and behind the Chateau of Chanteloup. This was entirely different to the event in Versailles. 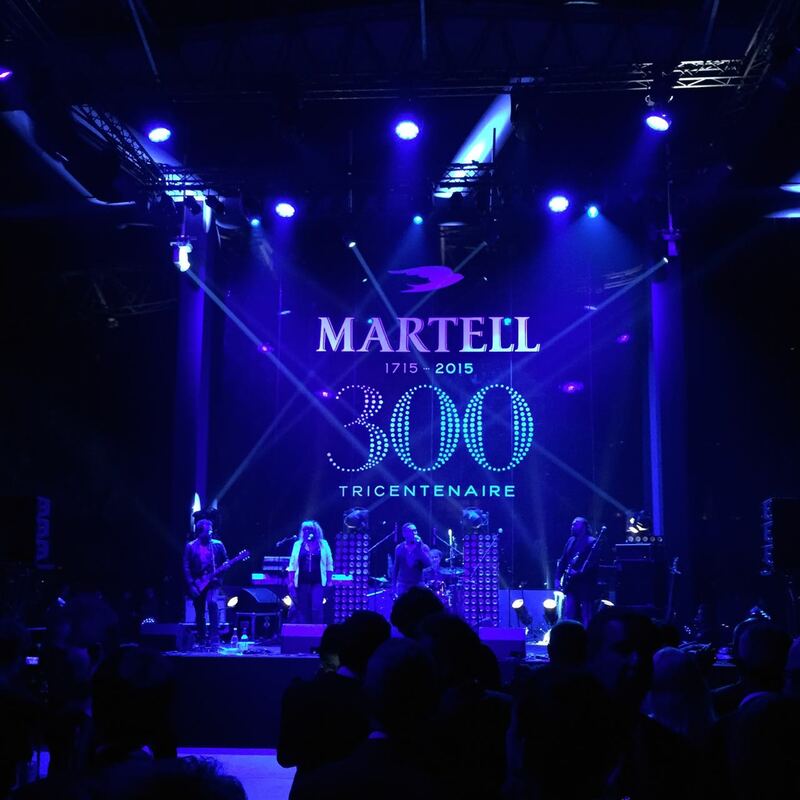 First of all there were 3000 guests or so, most of them wine growers and providers that have collaborated with Martell since years or even generations. 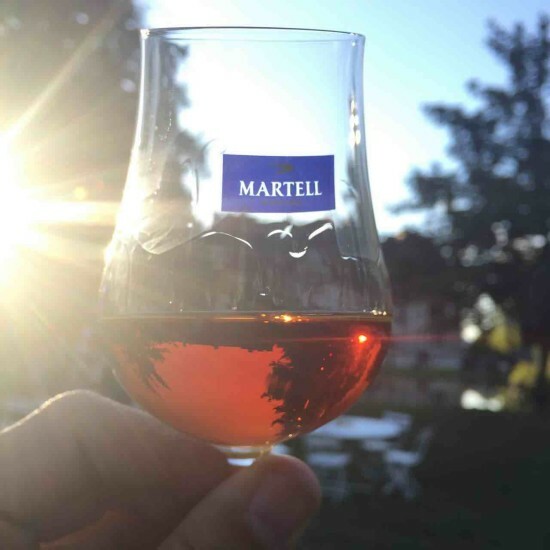 Martell cherishes their relations to Cognac farmers and producers in the region – they clearly know that they rely on these people’s work and produce. Without them there would be no Martell Cognac, as they source from a variety of producers in the region. 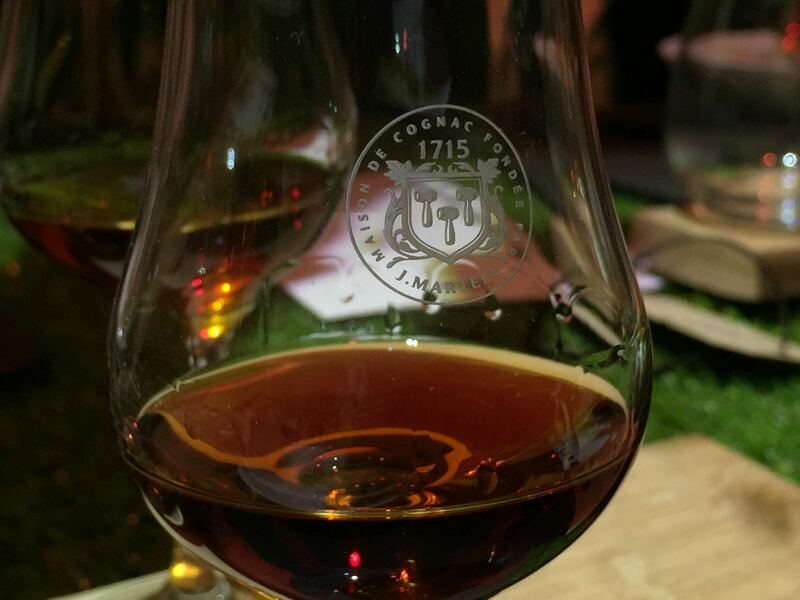 So this event was in a way to say Thank You to the Cognac region, which I found really special actually. Versailles was for the glamorati, Chanteloup was for the real people who do the work. Here, I actually met people from the Cognac region I know: Producers who produce for Martell, and sometimes also have their own brand. It’s a specific relationship between a wine grower and a Cognac brand: The grower wants the best return for his work, the brand wants the best ingredients for its blends. Usually there is a certain pride and tradition of each grower family to stick with a specific Cognac company – often one of the big 4 (Hennessy, Martell, Courvoisier, Rémy Martin). The event was a huge success. 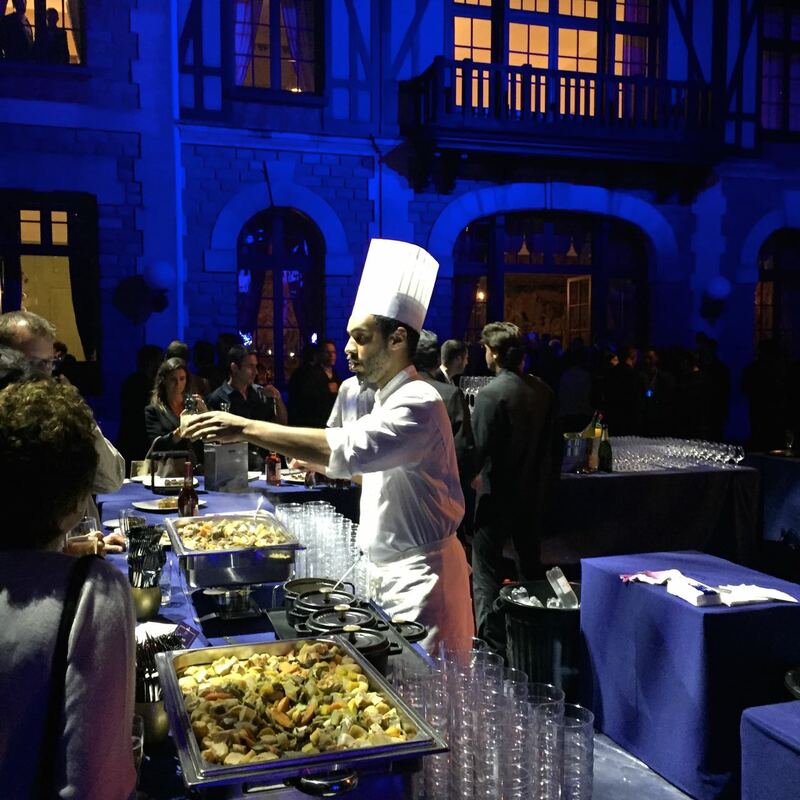 Guests could mingle while picking up delicious snacks at the different food stations all across the Chateau’s premises. 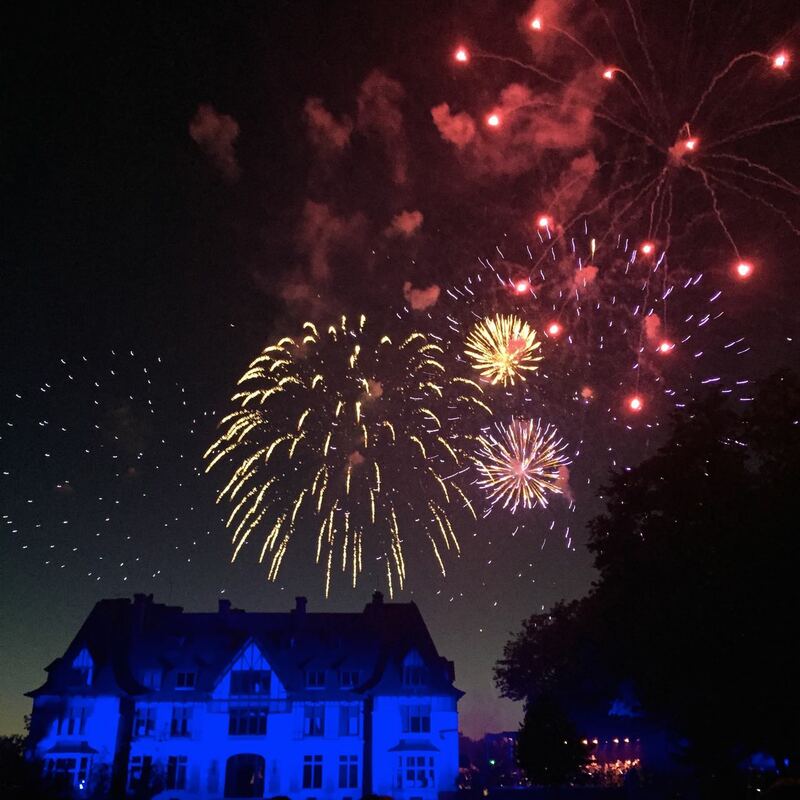 To top it all of, there was a surprise rock concert by French musician Louis Bertignac, plus fireworks over the chateau. The team really went all out. Everyone I spoke to was so impressed with this generosity. As part of Diane Kruger’s appointment as Martell’s brand ambassador, the Cognac house launched a huge search for the most influential Frenchies who represent the French “art de vivre”. 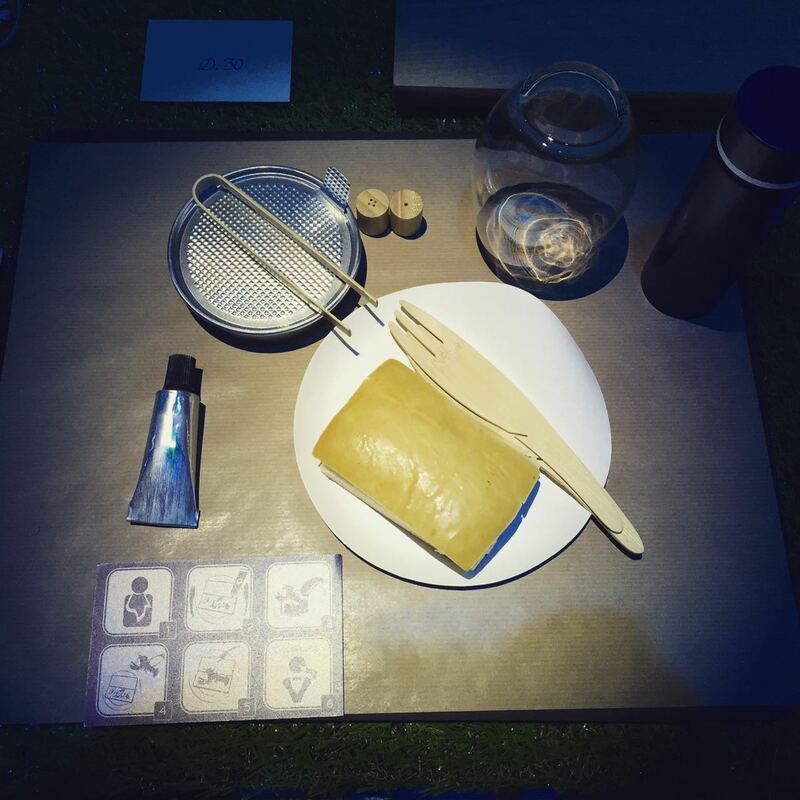 They asked Kruger to select different talents across the fields of gastronomy, art, mixology, entertainment, and fashion. Find a full list of the selected talents here. Martell also returned to its home in Cognac, where the brand is renovating the historical site of Gâtebourse, the original location of the House. The site is being redesigned to have a connection to the town and to reveal its historical, industrial, and architectural heritage. To go alongside this, Martell presented an innovative exhibition in collaboration with the City of Cognac and the Cognac Patrimoine association at the Cognac Museum of Art and History. The exhibition was entitled “Martell dans la Cité” (Martell in the City), and payed homage to the Martell family and the impact of the Cognac House in the town of Cognac. It also drew upon the history of Cognac in the region, making it a really great educational contribution. To wrap up the 300 year anniversary year, Martell’s final project is an interactive digital platform called “Martell Academy”. This tool is supposed to facilitate learning about the history of Martell, their connoisseurship, and Martell Cognacs. It comprises 45 videos and over 360 Q&As. Martell are making this platform available to collaborators and partners at the end of this year. We hope to be able to get a peak. 2015 marked a super important moment for the House of Martell. 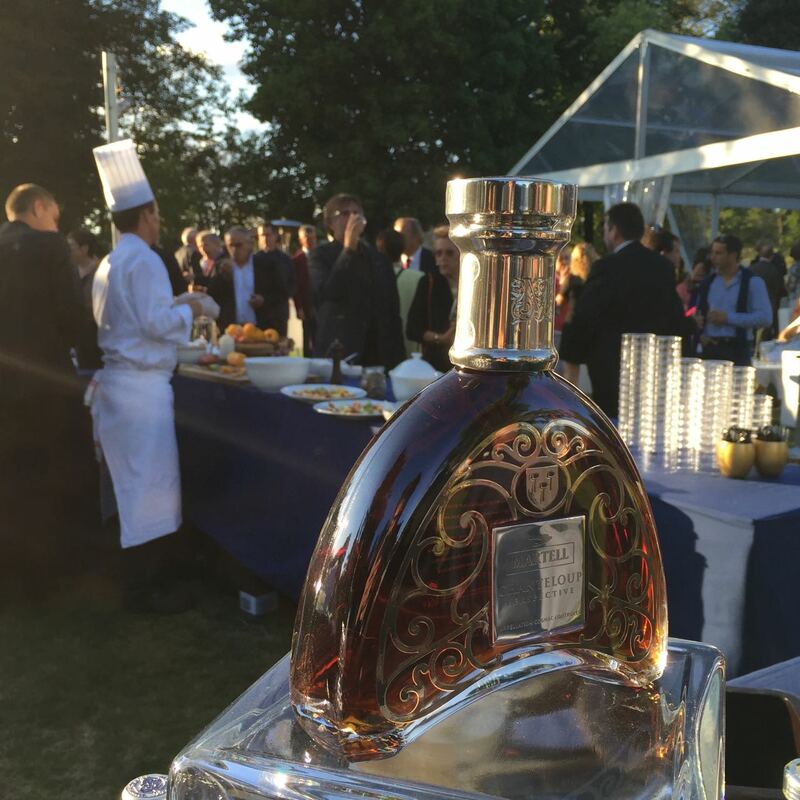 It has triumphantly and confidently shown its place in the world of Cognac. To me, they have clearly come out of this as the Number 1 greatest Cognac house in the world. Keep it up Martell, congratulations from all of us at Cognac-Expert for your outstanding efforts this year. 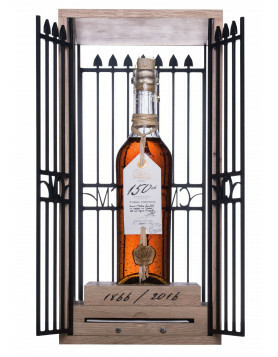 Where can I buy a 300 years anniversary bottle of Martel ?